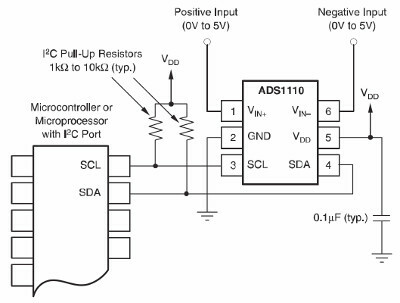 To connect a servo is simple – the GND line connects to GND, the 5V (or supply voltage lead) connects to your 5v (or other suitable supply) and the servo control pin connects to one of the TLC5940′s outputs. 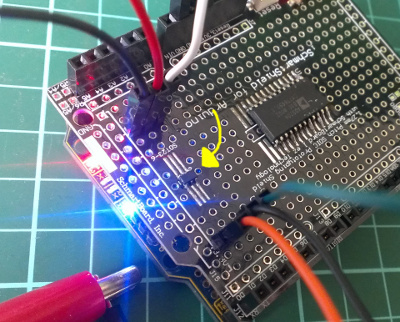 Finally – and this is important – connect a 2.2kΩ resistor between the TLC5940 output pin(s) being used and 5V. 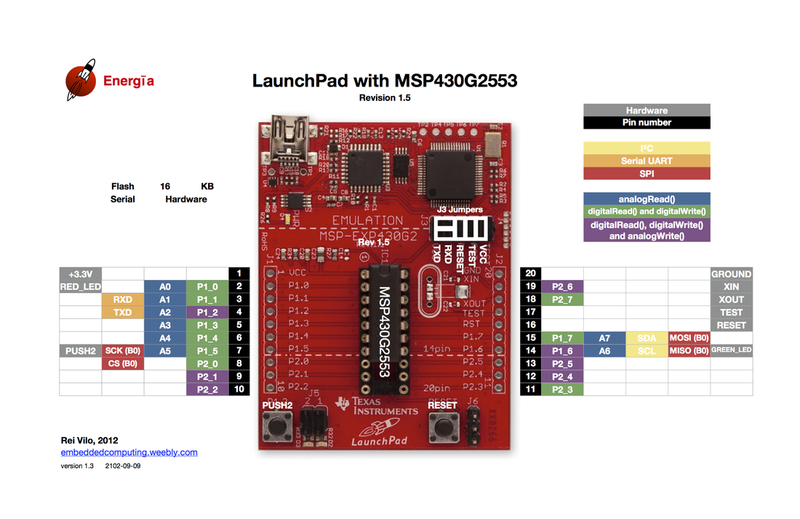 Over the last year or so Texas Instruments have been literally pushing their MSP430 development platform hard by offering an inexpensive development kit – their LaunchPad. 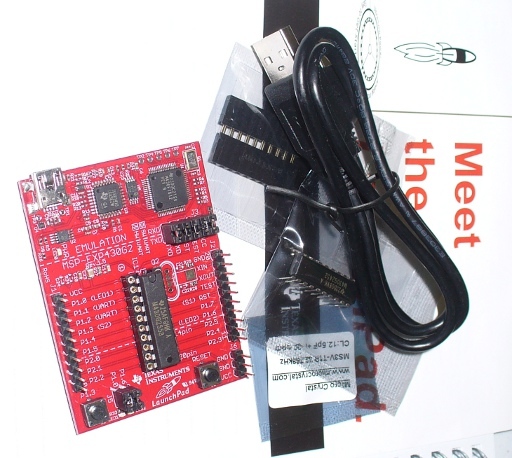 For around ten dollars (not everyone could get it for $4.30) it includes a development board with flash emulation tool and USB interface, two of their microcontrollers, crystal, USB cable and some headers. It was (is?) a bargain and tens of thousands of LaunchPads were sold. Happy days. However after the courier arrived and the parcel was opened, getting started with the LaunchPad was an issue for some people. Not everyone has been exposed to complex IDEs or university-level subjects on this topic. 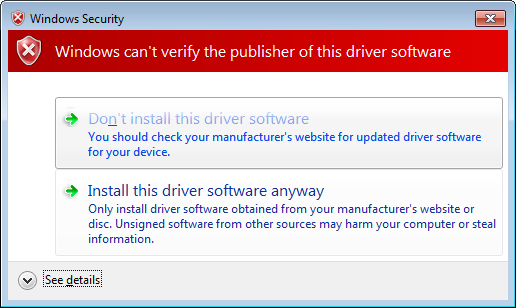 And to get started you needed to use a version of Code Composer Studio or IAR Embedded Workbench IDEs, which scared a few people off. So those LaunchPads went in the cupboard and gathered dust. 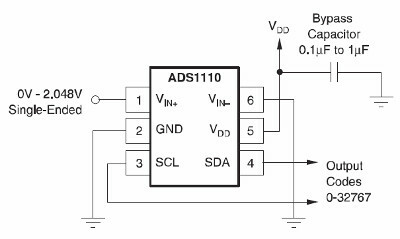 Well now it’s time to pull them out, as there’s a new way to program the MSP430 using a fork of the Arduino IDE – Energia. 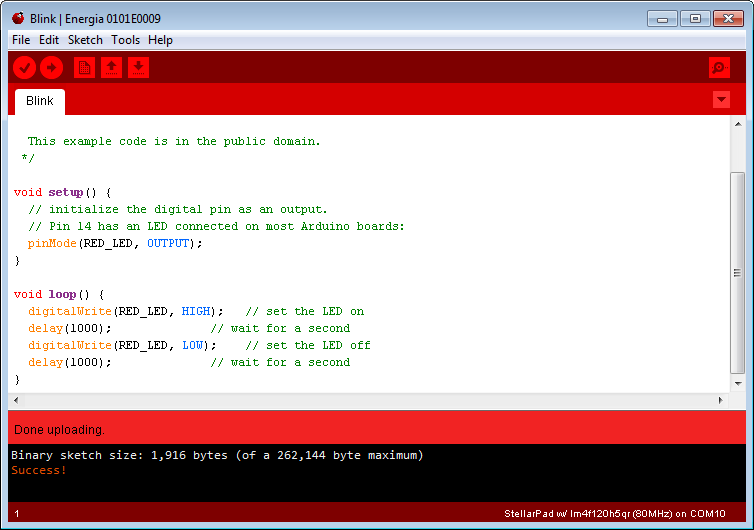 Put simply, it’s the Arduino IDE modified to compile and upload code to the LaunchPad, which makes this platform suddenly much more approachable. ** One-off ex-GST pricing from element14 Australia. 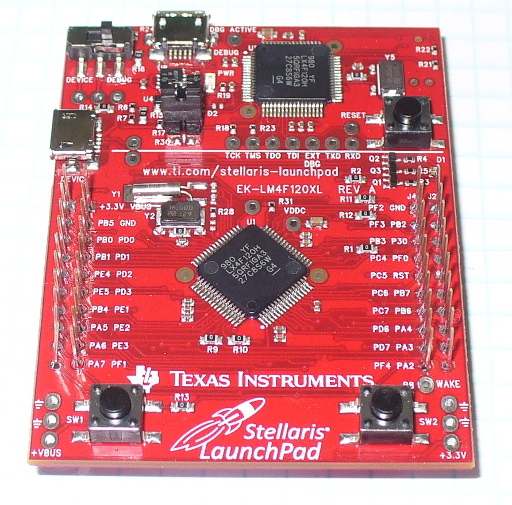 In some markets it would be cheaper to buy another LaunchPad. TI must really be keen to get these in use. So where to from here? There are many examples in the Energia IDE example menu, including some examples for the Energia libraries. 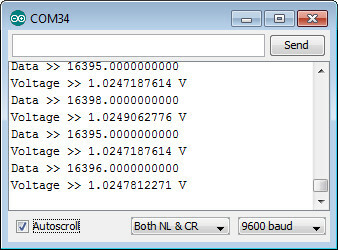 At the time of writing there is: Servo, LiquidCrystal, IRremote, SPI, wire, MSPflash and Stepper. And as the Energia project moves forward more may become available. For help and discussion, head over to the 4-3-Oh forum and of course the Energia website. 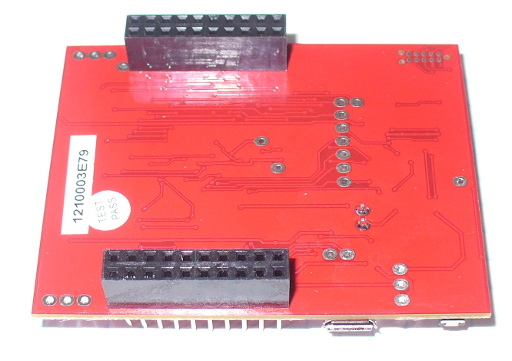 And of course there’s the TI MSP430 website. Well that was interesting to say the least. 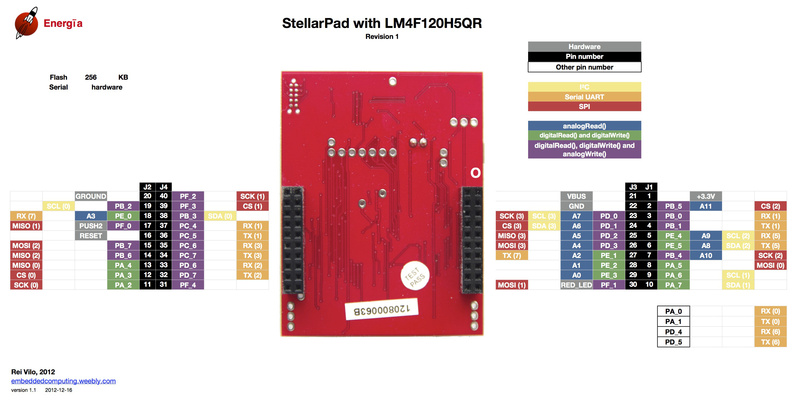 If you have a project which needs to be low-cost, fits within the specifications of the MSP430, has a library, you’re not hung up on brand preference, and you just want to get it done – this is a viable option. Hopefully after time some of you will want to work at a deeper level, and explore the full IDEs and MSP430 hardware available from TI. But for the price, don’t take my word for it – try it yourself. The post Exploring the TI MSP430 platform with Energia Arduino-compatible IDE appeared first on tronixstuff. You are currently browsing the archives for the instruments category.